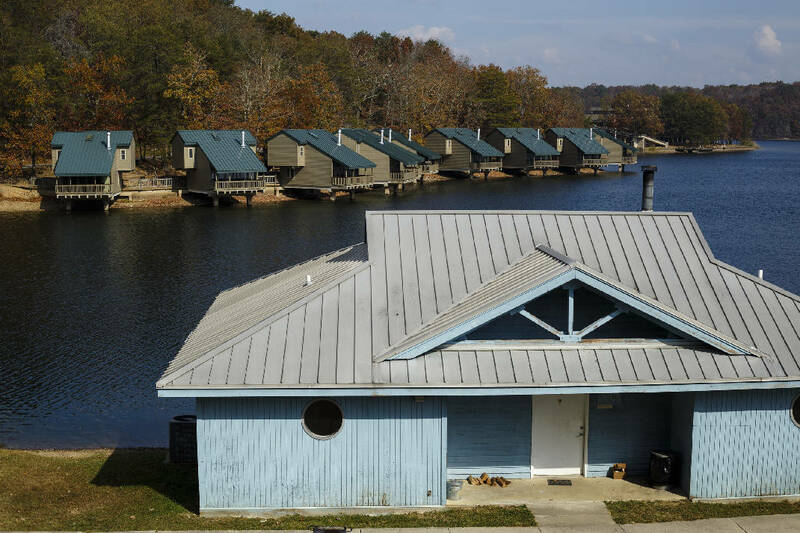 An older guest cabin is seen ahead of recently renovated guest cabins at Fall Creek Falls State Park on Wednesday, Nov. 2, 2016, in Spencer, Tenn. A plan to demolish the park's existing inn and replace it with a new facility that is privately run has apparently been renewed, and the process would take more than 2 years. NASHVILLE — The Haslam administration is abandoning all efforts to outsource management of Fall Creek Falls State Park and other state parks and will instead leave the volatile issue of privatizing operations to Tennessee's next governor. State Department of Environment and Conservation Commissioner Bob Martineau made the announcement Thursday during an appearance before a legislative study committee taking a critical look at administration outsourcing across state government. 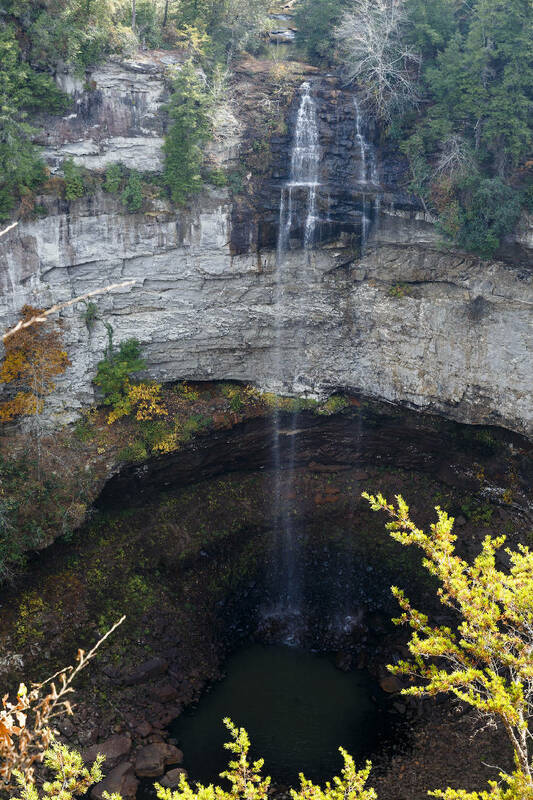 The legislation was spurred in part by administration efforts to outsource Fall Creek Falls State Park, located in remote Van Buren and Bledsoe counties near Spencer, Tenn., atop the Upper Cumberland Plateau. Martineau said his focus now is to use the estimated $138 million previously approved for state parks' capital needs over the past five years to begin addressing decades of ignored capital needs at a variety of parks. That includes tearing down and constructing a new inn at Fall Creeks Falls State Park, Martineau said. The falls are seen at Fall Creek Falls State Park on Wednesday, Nov. 2, 2016, in Spencer, Tenn. A plan to demolish the park's existing inn and replace it with a new facility that is privately run has apparently been renewed, and the process would take more than 2 years. Martineau's department, with Republican Gov. Bill Haslam's support, had sought to privatize management of the park along with tearing down and building the inn. But it proved to be a political land mine, with objections from the community and some area legislators. That along with the lack of interest from private companies — tearing down the inn would require expensive asbestos abatement remedies — forced the administration to pull back the effort in the spring. But it was unclear until Thursday exactly what the administration's path would be going forward. Asked about the decision following a speech later Thursday to the Rotary Club of Chattanooga, Haslam confirmed the outsourcing effort was dead. He pointed out his administration was the first "in a long time to actually invest in state parks," which had become what he called "substandard." But because any work on the state parks won't be completed before he leaves office in January 2019, Haslam said, "it didn't feel right for us to say that we were going to hire an operator for the park or decide that we were going to operate the park ourselves when we are not going to be the ones to be in office at that time." Martineau revealed the decision earlier during the legislative hearing spurred by a bill filed by outsourcing critics in this year's General Assembly. The legislation, which stalled and wound up getting shipped off for summer study, seeks to place new restrictions on further privatization by Haslam, who had made expansion of outsourcing or privatization one of the hallmarks of his administration. Among other things, the bill says that before approving or entering a service contract valued at more than $250,000, top administration officials would have to determine no current employees could do the work and a cost analysis would have to be done to see whether a contractor could really do the work cheaper. Martineau told lawmakers that, in terms of state parks, the administration now wants to devote previously approved public dollars to addressing long-ignored capital needs at state parks spanning decades. "What we have decided ... in consultation and approval from the governor's office, is [that] we want to focus on the rest of this administration getting those construction projects up and running," Martineau said. "They will be moving forward, whether they're renovation or the Fall Creek Falls and Paris Landing rebuilds," Martineau added. All renovations, tear-down and rebuild projects will go through the traditional State Building Commission process, Martineau said. Parks slated for renovations can move quickly, Martineau said, but he noted that others such as tearing down the existing inn at Fall Creek Falls State Park and building a new inn will take longer. Sen. Janice Bowling, R-Tullhoma, who helped lead opposition to privatizing operations of Fall Creek Falls said the park has been beset by decades of neglect. Bowling said the administration has no need to tear down the inn and could instead proceed as originally planned several years ago to renovate portions, allowing the inn to stay open and workers at the remote facility to avoid losing their jobs. But Martineau told the Times Free Press later that a more detailed assessment of the 1971 inn had been done. It found, the commissioner said, that "this is not worth trying to fix it's so fundamentally unsound. You're better off rebuilding." Bowling, whose district includes Fall Creek Falls, disagreed and called Martineau's comments about still moving to tear it down "disconcerting." The Haslam administration had planned to give any would-be outsourcing company $20 million in previously appropriated dollars to tear down the existing structure and build a new inn. Bowling said renovations could be done for far less and argued "that's what it [previously appropriated money] was for. And all of a sudden to redirect it for a teardown and rebuild by a private company was contrary to the letter or the spirit of what the General Assembly had done." The commissioner said he thought it had been "very clear" when the administration went back for additional funds that they were moving toward a "teardown and rebuild." 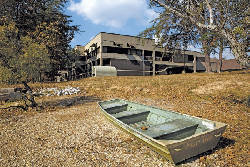 Martineau said proposed renovations at Pickwick Landing State Park and Henry Horton State Park are moving through the State Building Commission process. He said the department is putting the documents together to go before the State Building Commission and proceed with moving on the other projects at Fall Creek Falls, Paris Landing and Montgomery Bell state parks. This story was updated Aug. 24 at 11:55 p.m. with more information.